Low self-discharge for multi-use for sustainable lifestyle. Eneloop is a battery that offers new lifestyle possibilities through the development concepts of 'reuse' and 'care for the earth' towards a clean energy society. Through the supply of Eneloop, we envision sustainable clean energy lifestyles where products are repeatedly used with energy created by the sun. With this vision in mind, we will offer clean energy solutions by combining a variety of technologies so that we can continue to live comfortably in harmony with our planet. Being the world's leading battery manufacturer, Panasonic fulfils the diverse needs of the market. We are pouring our energy into advancing battery technologies to maintain our leading role. 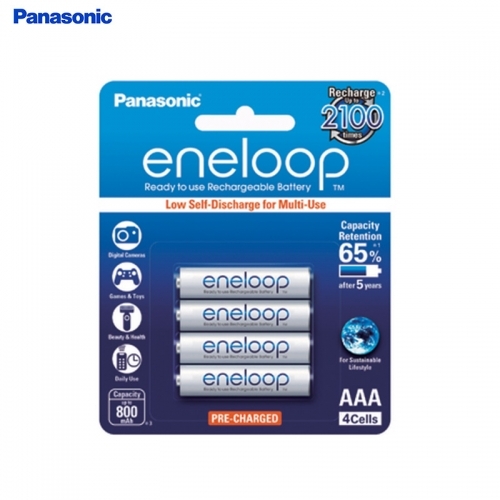 Thanks to Panasonic's many years of experience and know-how in the area of consumer electronics it is better placed than anyone else to develop and produce batteries that will meet the energy requirements of the most demanding and advanced applications, anytime, anywhere and under any conditions. 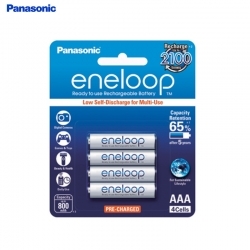 So Panasonic Batteries produces batteries of exceptional quality, delivering excellent performance over a longer lifetime.